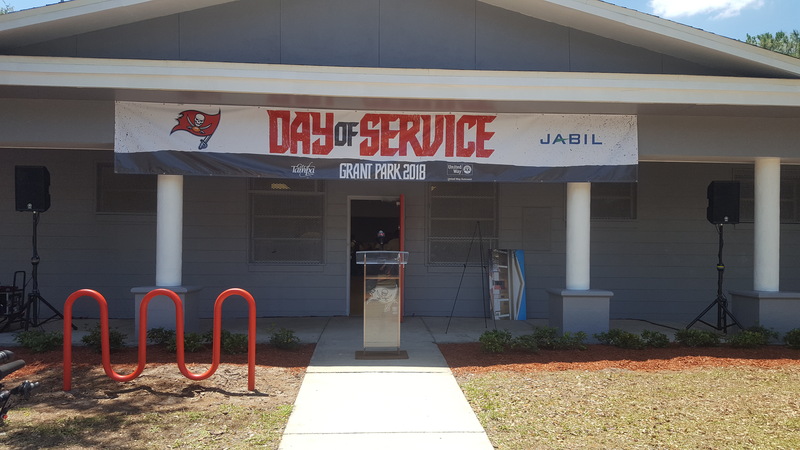 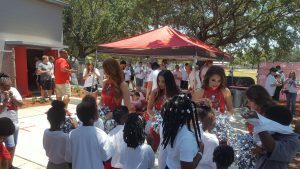 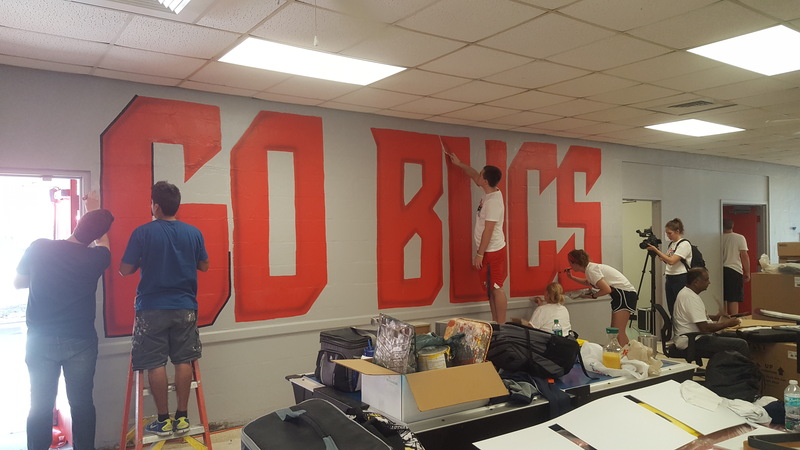 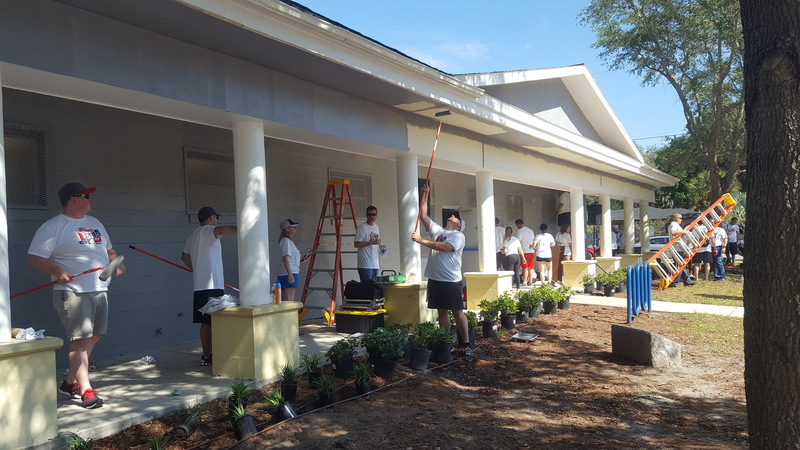 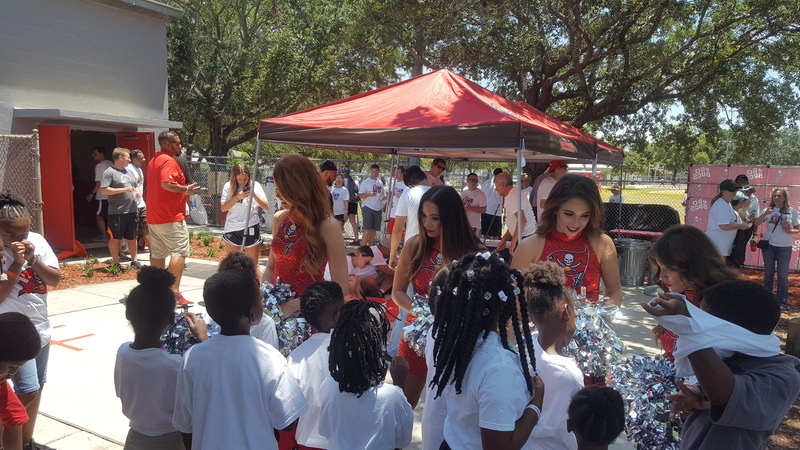 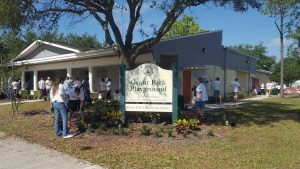 The Tampa Bay Buccaneers recently partnered with Jabil and United Way Suncoast as they took on the task of making over the Grant Park Community Center and Playground. 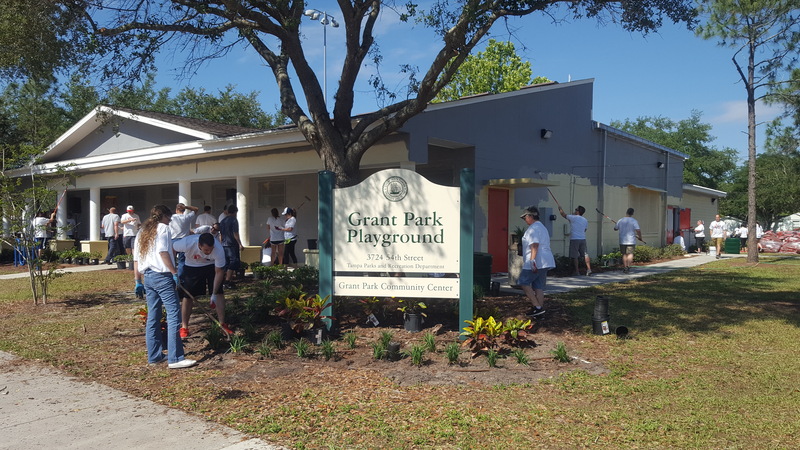 Grant Park provides after-school care where children come to complete their homework, receive tutoring and build friendships and camaraderie. The Tampa Bay Buccaneers pride themselves in being a strong presence in the community and they showcased that by providing the park with an extreme makeover. The Buccaneers engaged 270 volunteers who completed a variety of projects such as remodeling the computer lab, painting murals, assembling and installing new furniture, renovating the gym, painting bleachers, and a variety of other projects. 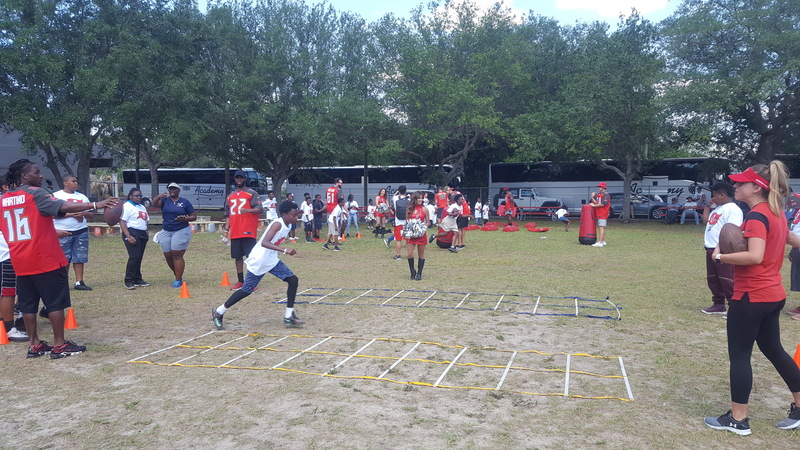 Afterwards, a group of Buccaneer players ran drills with children at the various stations set up by the street team. 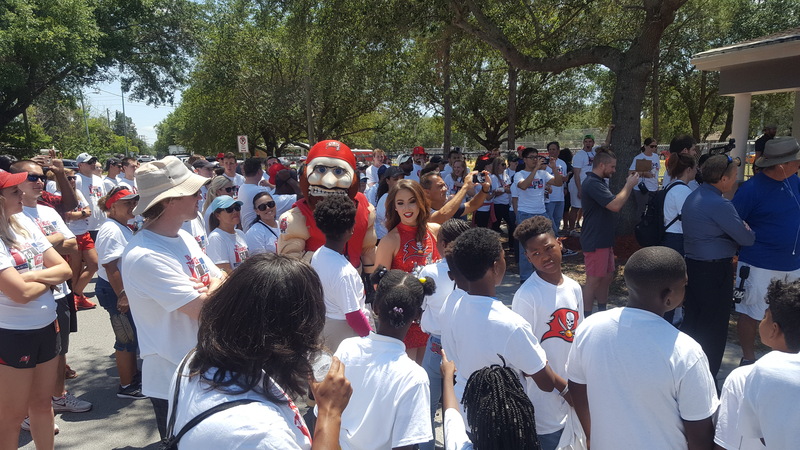 The Tampa Bay Buccaneers Service Day was a great success!